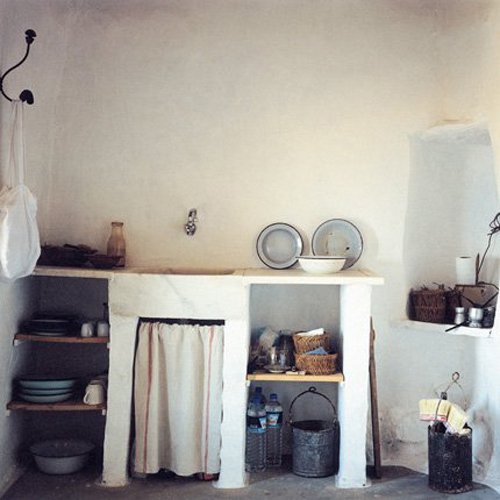 This kitchen is simple but oozes rustic charm. 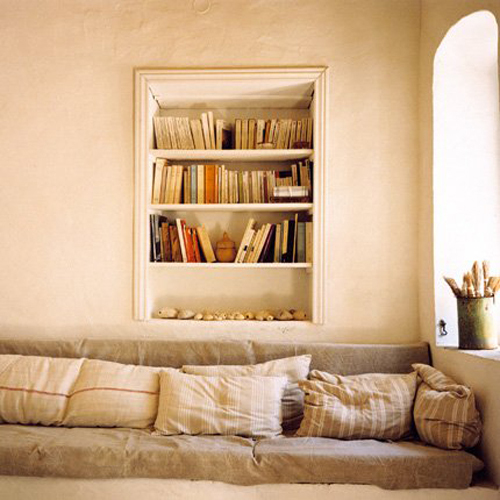 The sofa is made of a masonry bench covered with a sheet of linen and cushions made from tea towels. 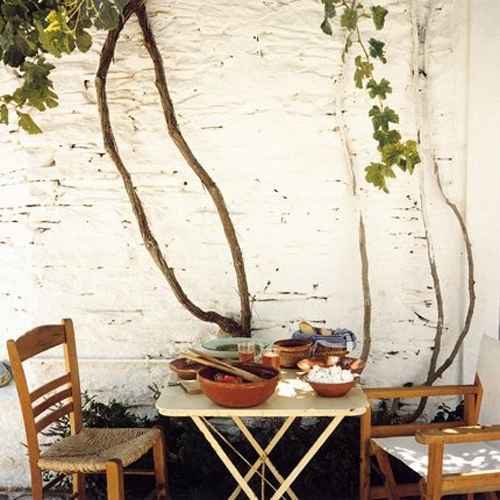 Furniture and objects are from flea markets and local bazaars. 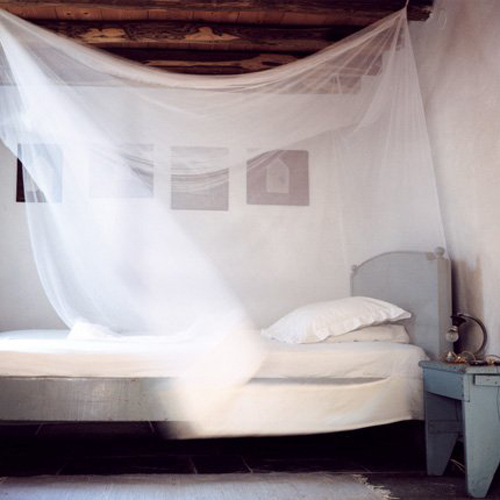 And as is tradition, each year the walls are whitewashed to protect the house from heat while flooding it with light. 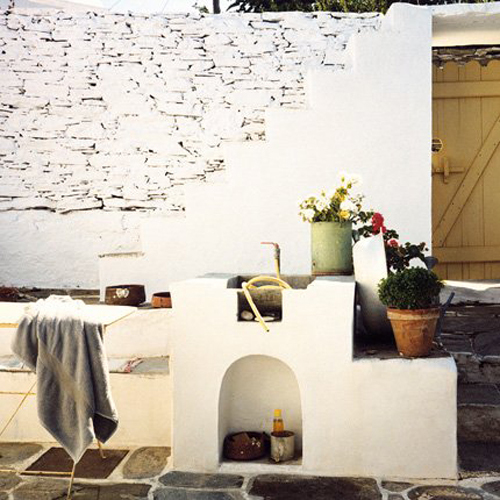 The original layout was preserved, with its small rooms arranged around a garden courtyard that allows everyone to move freely and live at their own pace. I really like this house. I have seen it before, but I always find it very inspiring and relaxing. This is very close to my idea of a perfect summer home! Great choice to feature it here. This is one of the million reasons why I love my country..simplicity,tradition,culture and the sea view! What is better? You are very right Despoina, your country is beautiful! 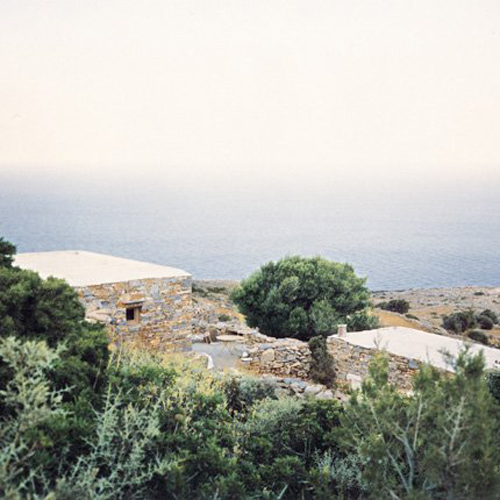 I stayed in a beautiful house on an island in Greece many years ago, the peace and the smells and sound of the sea is more wonderful than anything else I can think of .